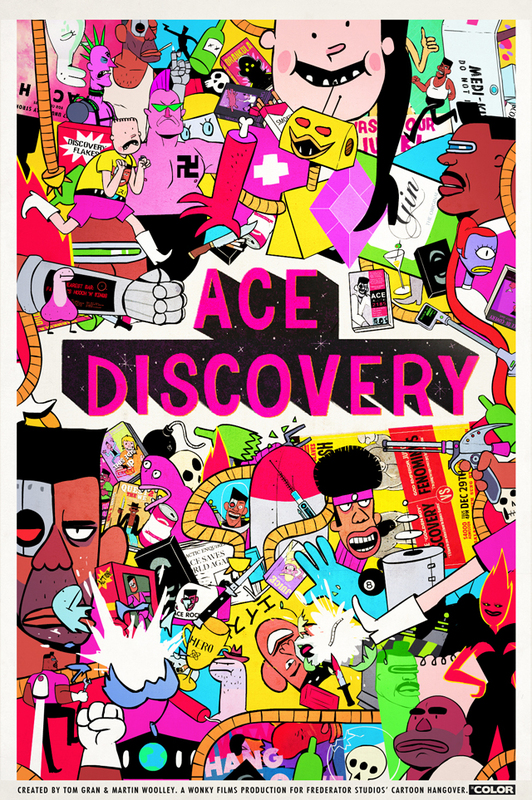 Tom Gran and Martin Woolley of Spin Kick Bros. have created Ace Discovery, a new cartoon about a has-been space adventurer named Ace and his “man-child cabin boy” Jack. 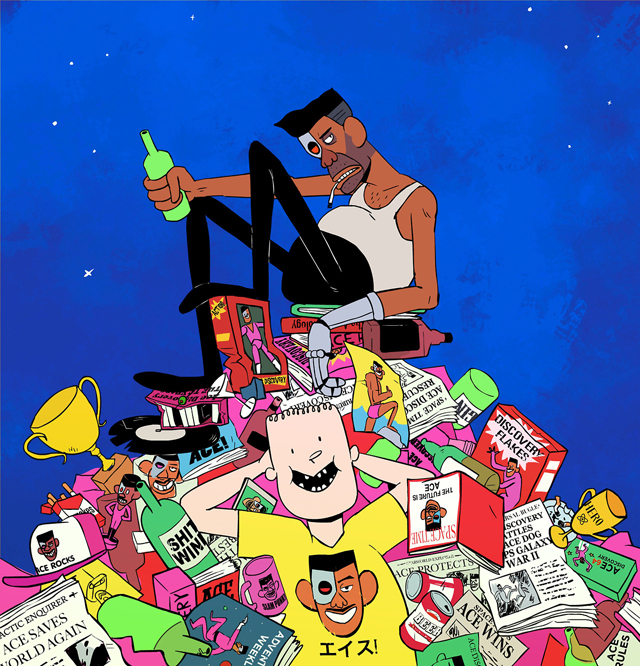 The uncensored cartoon was created in collaboration with Frederator Studios, and hosted on YouTube by Cartoon Hangover. In the distant future, washed-up space adventurer Ace Discovery and his man-child cabin boy Jack crash land on a planet of dicks. Begrudgingly manning the last exploration rocket in the fleet, Ace reluctantly leads his small crew in search of some part of the universe still worth exploring.